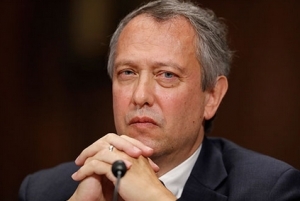 Prominent GOP attorney Thomas Farr could be confirmed to a lifetime federal judge seat in Eastern North Carolina by the end of the year. Senate Majority Leader Mitch McConnell filed cloture Thursday on Farr’s and Jonathan Kobes’ judicial nominations. The U.S. District Court judgeship for the Eastern District of North Carolina has been vacant for nearly 13 years and has long been referred to as a judicial emergency. Farr’s nomination has been deeply opposed by voting rights activists and organizations and legal stakeholders across the country. The debate about his fitness for the job has been ongoing, and cloture is a process by which McConnell seeks to end that debate and take a vote. The NAACP strongly condemns Farr’s nomination and the Senate’s scheduling of his vote. Farr, the release states, poses a serious threat to civil rights, especially since he would preside over a jurisdiction with a large African-American population. A Raleigh based attorney, Farr frequently represents the state’s Republican party in voting rights cases. He has been lead counsel for the GOP in redistricting cases and in the voter identification law challenge. He was nominated by President Donald Trump last year and again this year, and if he’s not confirmed by the end of the year, he could be nominated again. The Eastern District of North Carolina serves 44 counties and has a combined Black population of nearly 30 percent. A black judge has never been appointed to serve on the bench, despite Obama’s nominations of Jennifer May-Parker and Patricia Timmons-Goodson — two very accomplished Black women. N.C. Sen. Richard Burr blocked both nominations. He backs Farr, though. 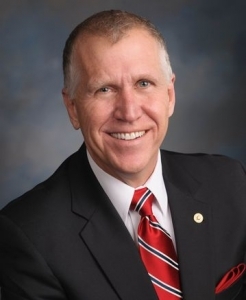 As does fellow N.C. Sen. Thom Tillis, who told the News and Observer that he looks forward to the floor vote. People For the American Way Executive Vice President Marge Baker said Thursday that if McConnell and Sen. Chuck Grassley (R-IA) were looking to “illustrate their reckless and irresponsible approach to rubber stamping Trump’s dangerous judicial nominations, they couldn’t do much better” than Farr and Kobes. Baker described both nominees as grossly unqualified for lifetime seats on the federal bench. She also said a majority of the American Bar Association’s standing committee on judicial selection found Kobes to be “unqualified” for a seat on the federal bench given his paltry record. “But he has political connections, which is all Senator Grassley needed to whisk him through the committee — again on a party line vote,” Baker wrote. “For Republicans on the Senate Judiciary Committee, cronyism trumps responsibility every time. 81 Snow St.	27 Congress St. The Voting Rights Act of 1965 was eliminated in 2013 by the Supreme Court.